Oregon’s most destructive wildfire was born like many others. In August 2015, the eastern half of the state was in a drought emergency. More than a dozen fires were burning across Oregon and Washington. On August 12, a flurry of early morning lightning strikes set parched grass and trees ablaze in a dozen places in the Malheur National Forest. Crews aggressively attacked them all, including two fires in the Blue Mountains south of John Day — at Mason Springs just off Hwy. 395 and Berry Creek in the Strawberry Mountain Wilderness. Neither posed an immediate threat to homes and other structures. On relatively flat ground, Mason Springs was fully contained within a day. Located on steep terrain, Berry Creek would prove more difficult. Firefighters had to parachute in or rappel to nearby areas and then hike several miles. As ground crews worked their way around the fire perimeter, planes and helicopters dropped water and doused areas ahead of the flames with loads of bright red retardant. Although the fire had been surrounded, snags and hot spots were still burning as night approached. Near dark, crews retreated from the dangerous rocky terrain for their own safety, per U.S. Forest Service policy. According to a Malheur National Forest report, both fires were “full suppression efforts,” but that aggressive approach — what the Forest Service calls an Initial Attack — would prove futile. On the afternoon of August 13, hot dry winds fanned smoldering debris and sent burning embers as far as a quarter mile past the fire lines. Both fires roared to life. Fed by an abundance of bone-dry fuel, low humidity and strong winds, Mason Springs and Berry Creek grew relentlessly toward homes and ranches along Canyon Creek. When they joined forces, they became known as the Canyon Creek Complex Fire, a monster bingeing on accumulated decades of growing trees, shrubs and grasses. Full containment wasn’t achieved until November, after 43 homes and nearly 100 barns and other outbuildings had been destroyed. About 110,500 acres, an area larger than the city of Portland, were scorched to varying degrees. The fire-fighting cost reached $31 million. Over the past decade, such expenses have been mounting. The Forest Service alone spent $2 billion fighting fires in 2015, more than double what it had spent only five years earlier. Solutions will require an all-hands-on-deck shift in land management. 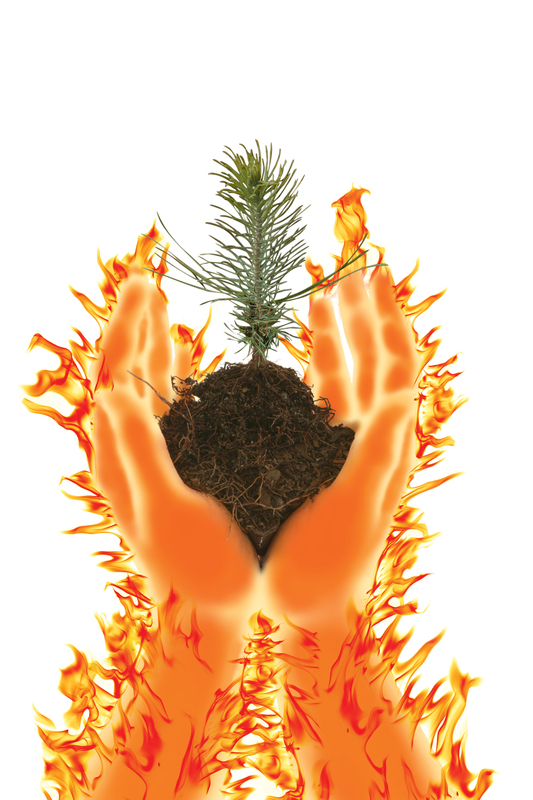 So to promote greater resilience and to address questions about fire behavior and the needs of rural communities, the Oregon State College of Forestry has created the Western Fire and Drought Management Center. The goal is to coordinate research across academic disciplines from forestry and engineering to rangeland science. The center will also provide science-based information to communities, businesses and government agencies. 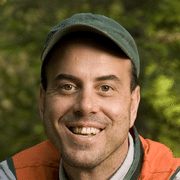 James Johnston, an Oregon State University forest researcher, recently reconstructed fire histories at 13 sites on the Malheur National Forest, including one site near Canyon Creek. By analyzing old fire scars and coring trees at each site, he was able to look back more than a century to a time before modern settlement, grazing practices and fire suppression policies took root. 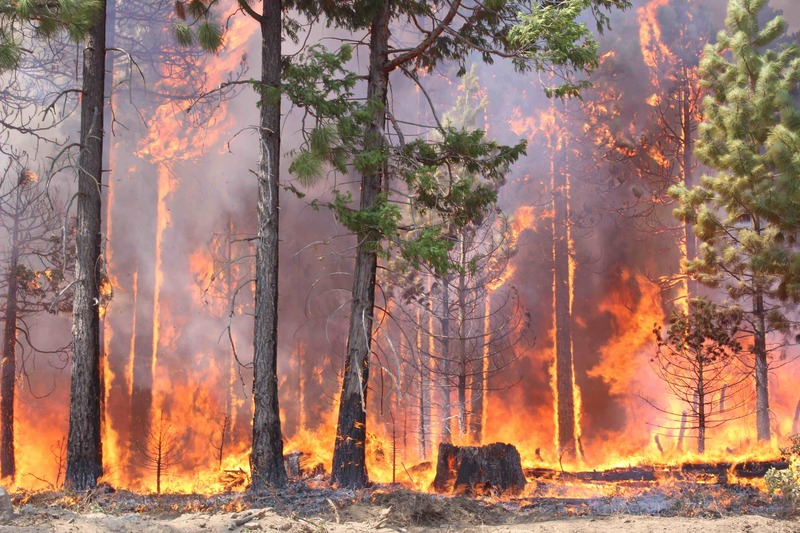 Reporting in two journals, Ecosphere and Fire Ecology, he and his colleagues found that from the ponderosa pine groves of the relatively dry lowlands to the mixed-conifer stands of higher elevations, fire historically visited every 10 to 28 years. “Fire, like herbivory, was a ubiquitous and relatively uniform influence,” they wrote. Such conditions are hardly unique to Eastern Oregon. In the Fremont-Winema National Forest in Klamath County, researchers have documented a 600-percent increase in the number of trees per acre over the last century. Scientists are quick to point out that forest density is not the only ingredient in the recipe for fire. Soil and vegetation moisture, prevailing winds, humidity and topography also play a role. 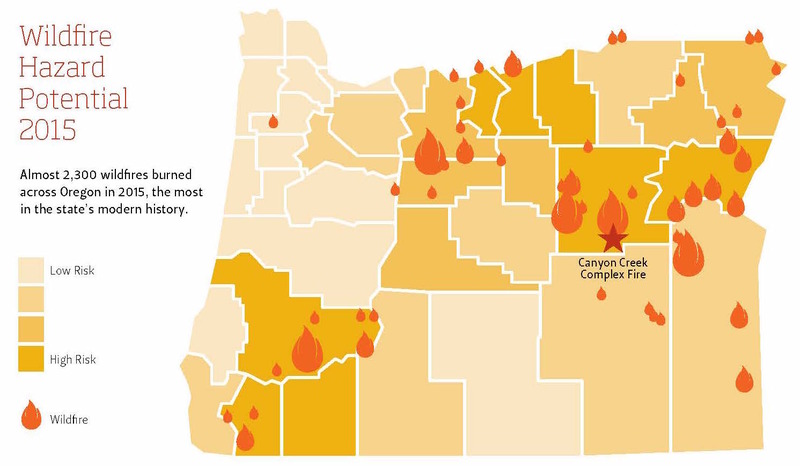 Nevertheless, growing fuel loads have contributed to a spate of large fires across the state in recent years — the Biscuit in 2002, the B&B Complex in 2003, the Douglas Complex and Whiskey Complex in 2013. Larger, more severe fires are not limited to the forests. In 2012, the Long Draw Fire burned more than 558,000 acres of grass and sagebrush south of Burns. That same year, the Miller Homestead Fire spread across another 160,000 acres. Area ranchers took a hit with more than 50 cattle killed (according to conservative estimates), fences and buildings lost and valuable forage scorched. The fires also consumed large blocks of sage-grouse habitat, a focus of restoration efforts. 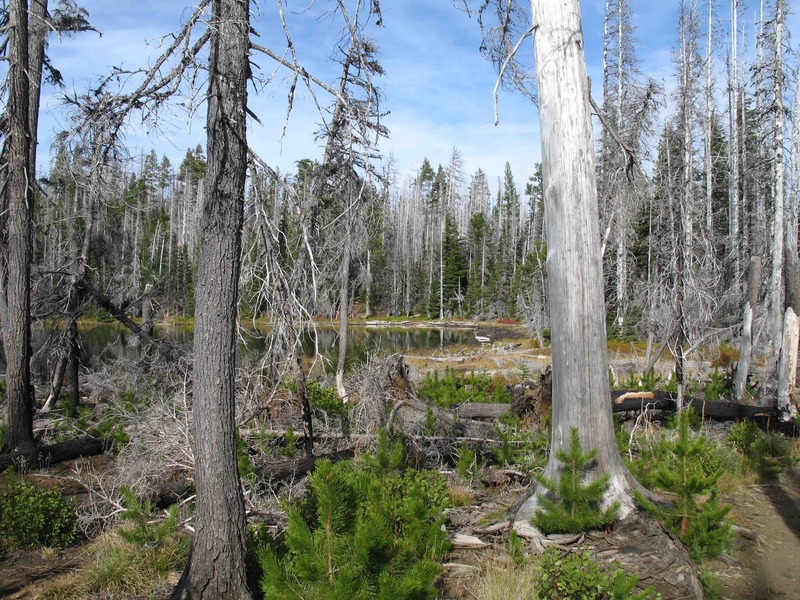 In 2003, a chance to tour the still-smoldering impacts of the B&B Complex fire on Santiam Pass generated an aha! 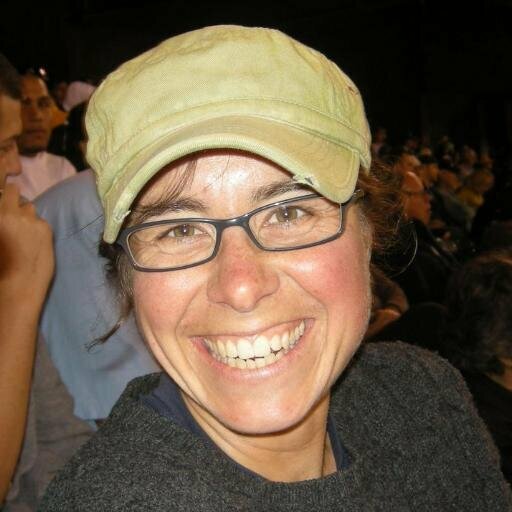 moment for Christine Olsen, who was just starting her Ph.D. at OSU. “The Forest Service invited students and faculty to go out into the burned area to talk about what we’re going to do about it,” she says. Researchers were already measuring public opinion about fire and pre-fire mitigation work, but driving through the blackened land on the way back to Corvallis, Olsen wondered what people thought about the burned forest she was driving through. “There’s a lot that could be done to rehabilitate these massive landscapes. How does the public view that? People might wonder if there is going to be any salvage logging at all, and they may not be sure of what can really happen. In her subsequent surveys of people in communities near the B&B and the Biscuit fires, the social scientist in the College of Forestry found that majorities of respondents are generally accepting of infrequent salvage logging in carefully selected areas. In a survey of four communities across the country, she found that people tend to be more tolerant of smoke that occurs from natural causes than from fires that are set for management purposes. Attitudes about smoke tend to reflect worries about personal health. In a wind tunnel on OSU’s Corvallis campus, engineering professor David Blunck and his students set sticks on fire and measure the size and velocity of the embers that fly off the burning wood. They fasten dowels of known species — white oak, Douglas fir, ponderosa pine, white fir — into a fireproof container, apply a propane flame and turn on a fan. The air stream carries glowing chunks into a metal pan at the end of the tunnel. 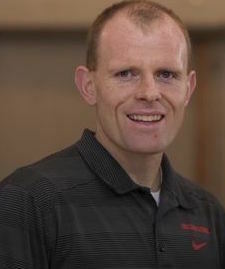 Blunck is investigating one of the processes that sparked the Canyon Creek fire: ember generation. It’s a phenomenon familiar to anyone who has sat around a campfire and watched sparks fly into the night. However, the violent winds generated by a wildfire have been known to loft firebrands for miles, setting new spot fires and threatening homes and other structures. Blunck knows that this highly controlled environment hardly compares to the blustery maelstrom of a burning forest. But understanding the controlling factors — wood size, species, moisture, temperature, wind speed — can help fire managers anticipate one of the most explosive features of spreading wildfire. In addition to wind tunnel studies, Blunck and his team are doing controlled burns in open air. Comparing the results from such experiments allows the researchers to understand how embers are generated at different scales. In these places where annual rainfall barely fills a coffee cup, native shrubs grow with the speed of fingernails. The research professor in the Department of Fisheries and Wildlife wants to understand fire’s long-term impact — 20, 30 or 40 years after flames reset the long sweep of the sagebrush community. The occasional summer lightning storm can set these lands ablaze, but in contrast to upland forests, fire visits rarely, maybe every 50 or 100 years. Big fires like the Miller Homestead and Long Draw fires in 2012 can occur when non-native plants fill the spaces naturally left by bunch grasses and sagebrush. Cheatgrass, for example, grows fast in the spring and dries out by early summer. “So when fire does strike, we now have a continuous fuel source. Where fire was limited historically, now we have larger fires,” Ellsworth says. On the Hart Mountain National Antelope Refuge, the John Day Fossil Beds National Monument and other public lands, Ellsworth and her students and colleagues are comparing the composition of plant communities with varying fire histories. Fire plays a useful role in restoration, they have reported, but it needs to be managed in coordination with other efforts to restore diversity in sagebrush ecosystems. When Meg Krawchuk was growing up in Toronto, visits to her grandmother meant traveling through a burned forest. It was just part of the landscape to a young girl, but she also remembers that her grandmother went there to pick blueberries. Every fire develops a unique personality as it responds to the vagaries of weather, topography and vegetation. So, using data from satellites, maps and other sources, Krawchuk analyzes the fingerprints that fires leave behind, including the mosaic of green islands that dot the sea of blackened soil and trees. 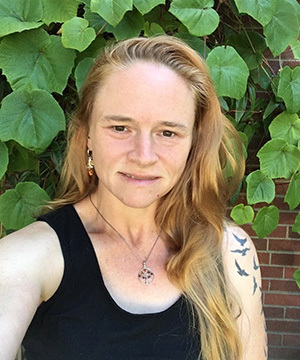 Kayla Johnston is studying fire history in the Metolius forest of central Oregon. John Bailey describes himself as a tinkerer. When he and other silviculturists look at a forest, they want to know what the objectives are — produce timber, preserve old trees, foster biodiversity, offer recreational opportunities. Then they determine how to meet them. For Bailey, the Maybelle Clark MacDonald professor in the College of Forestry, fire plays as vital a role as soil, water and sun in achieving those outcomes. Continually putting fires out and not treating the landscape to remove the annual fuel build-up sets the stage for more tragedies like Canyon Creek. However, current land-use policies don’t provide forest managers with that kind of flexibility, even if they had the resources to conduct such operations. As an example, Bailey points to the Deschutes National Forest. “Even if you turned me loose with a golden checkbook, all I could treat out there now is about 16 percent of the landscape.” The rest of the forest falls under designations that typically do not allow for mechanical treatments or prescribed fire: campgrounds, riparian zones, special botanical areas, northern spotted owl protected areas, wilderness and so forth. While the high-intensity fires of the past make the public understandably wary, Bailey looks forward to the day when attitudes toward fire are more accepting. Homes, and maybe lives, were saved by fuels treatments in Central Oregon.